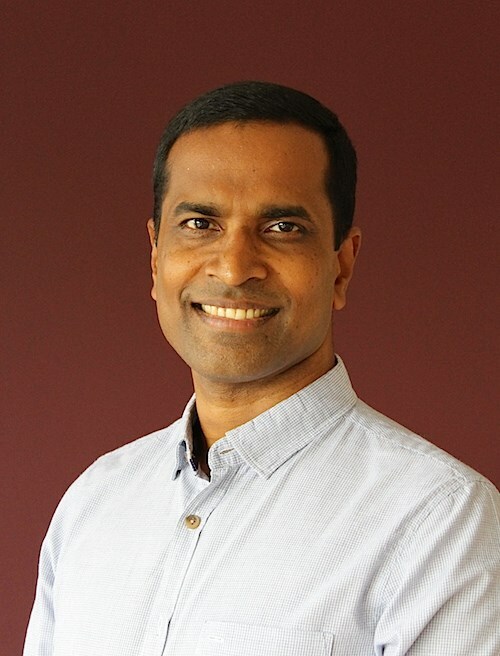 In interview with… Dr Rama Prasad, Ayurvedic practitioner in Sydney ! Dr. Rama Prasad is one of Australia’s most qualified and experienced Ayurvedic physicians and educators. His main goal ? “Using traditional Ayurveda insight to help people dissolve stress caused by everyday living”. Let’s introduce him ! Rama Prasad ​teaches, presents and practices Ayurveda internationally and has done so for over 25 years. Along with effectively managing a variety of health conditions, he specializes in “Vedic Age Reversal” and has developed his own method of “Ayruveda Tongue Diagnosis” as well as “Five Element Body Type Analysis” and uses these along with Ayurvedic psychology to form a complete treatment approach. Dr Rama also practice classical martial art (Kalaripayattu) and clinical Yoga. He has organised and has been part of over 2 dozen international Ayurveda and Yoga conferences in India and Australia, and kindly accept to welcome us. 1. You are practicing Ayurveda over the past 20 years. You are also specialized in “Vedic Age-Reversal”. Could you introduce your clinical experience and treatment approach ? Rama Prasad : Ageing is a normal process. This normal ageing has nothing to do with health or disease. “Age” in age-reversal stands for the frequent or consistent state of low energy or tiredness with no specific reason. Reversing this is with a simple (6-8 week program) two pronged approach that involves rapidly boosting blood nutrient load and giving 12 hour deep rest to all cells to every day. The three zones of body (tissue-fluid-channels) are well managed in this program to flush toxins effectively and promote normal cell functions. Its based on Yogic, Ayurvedic and Physiological principles. 2. The West today has a lot more psychological than physical suffering. Mental-psychological conditions like depression are almost epidemic today. Even children are commonly suffering from conditions like Attention deficit disorder (ADD) or hyperactivity. Ayurveda is inherently a psychological as much as it is a physical system of medicine. I’d like to ask you how Ayurvedic psychology can be used to help people dissolve stress or physical and psychological suffering ? Rama Prasad : I am going to give you a strange answer. Learning about how life works is the remedy for every disease. This will help us understand how we dream and how life gives us what we need for our personal development. And, this will help us to set realistic expectations, apply our whole hearted effort and accepting the result as it is. Once, the mind is empowered this way, stress becomes minimal and vitality dominates over depletion. 3. Martial arts and clinical Yoga are also part of your training. Is this something you do recommend to your patients as well as a line of treatment ? Rama Prasad : Of course. South Indian martial art contributed to most of Ayurvedic body therapies. So it is blended into all our Ayurveda therapies. I always incorporate various limbs of Yoga in the clinic as well. 4. According to you, a disease is first of all an inflammation, a process to protect the body. Could you explain what happen in the body during an inflammation, what is Inflammation and why we need it ? Rama Prasad : Ease is lost, when body’s awareness (Prana) detects any pathogens. Tejas (attack, defend and repair) to uses Ojas (raw energy) appropriately to attack the pathogen, defend and body and repair any damage. These three components make up Immune system or Balam in Ayurveda. This process of detection, attack and repair is called Jwaram or inflammation. Based on the nature and strength of pathogen and balam, we might develop a form of inflammation or degenerative condition either simple or autoimmune type. Ayurveda helps the immune system while strongly support balam in its job and make healing complete, more bearable and complete. 5. How diet can play a role in reducing inflammation ? Rama Prasad : Food is the physical world that becomes body. Use of excess inflammatory food (grains, flours, sugars, fermented items etc.) causes inflammation. Apart from this inflammatory eating (not chewing enough), eating at inflammatory time (after 2pm), living inflammatory lifestyle (unplanned etc. ), having an inflammatory breathing (not breathing enough) and inflammatory mindset (having an issue and not addressing it effectively) are other causes as well. 6. Diet can be key in preventing and managing inflammation. Unfortunately, the typical western diet is an inflammatory one. What do you advise as an anti-inflammatory Diet Basics ? Rama Prasad : Diet is one part. Mind is a bigger part. Modern diet is “grab and go” or “comfort food”. They are all dominated by inflammatory food items. In an anti-inflammatory diet we need to increase the blood nutrient load, by eating when the body can digest, assimilate and eliminate effectively. 7. Intolerance and allergy are both conditions of hypersensitivity, a reaction of the body to factors that it can no longer deal with in a healthy way. One of the root causes of this intolerance is imbalanced Agni or digestive fire. Could you explain this Ayurvedic concept and how its relation with Crohns colitis, irritable bowel disease / syndrome, digestive disorders? Rama Prasad : A strong agni converts world into strong body. A strong body produces strong agni. Lifestyle (rest, relationship, exercise, nutrition, occupation etc.) connect them. When this relationship is broken with an unwholesome lifestyle, agni weakens and body become inefficient. Weak tissues are intolerant and produce weak agni. The vicious cycle kicks in. Based on the location they are called IBS, dermatitis, colitis, sinusitis and so on. 8. Your clinics are established in Sydney, Brisbane and Melbourne providing quality aryurvedic health care. Which services and treatments do you practice there and how is Ayurveda known in Australia ? Rama Prasad : My clinics are to help people with building health and vitality. I teach them how to loose their illness quickly and easily. Most treatments are inexpensive. I also use some herbs, techniques and tools to speed up recovery and make it easier and more complete. Herbs include around 500 classical recipes and techniques include a huge range of Classical Ayurveda treatments tailored for the client. 9. Is Ayurveda qualifications nationally recognized by the Australian Government? Rama Prasad : We have Certificate and Advanced diploma courses offered by around half a dozen colleges country-wide. 10. You are actively working on an Ayurvedic dictionary, and an interactive online health training software. How is it going? Rama Prasad : A dictionary requires so much imagination and training software takes so much time. I am loving my life right now, waking up at 3am and jumping on to my computer to add one more paragraph to my manual and then 4am straight to sleep and up at 5m to run to my gym. My 7am breakfast is soon after my short yoga session. My mornings are my fuel cells for my days. Next In interview with… Dashama Konah, Yoga teacher, author and lifestyle coach !